Low pressure, energy saving design for light high-purity and commercial applications requiring an economical means for high purity water. Nominal output capacities of 3,600 – 16,200 GPD (2-11 GPM). 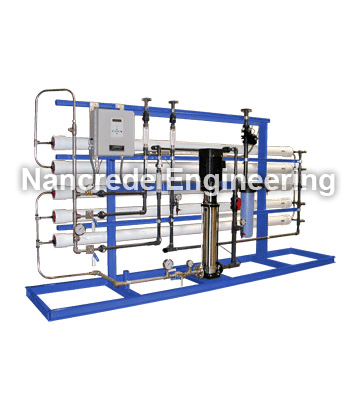 SDI or Portable DI (deionization) Exchange Tank Systems can be added to this after the RO system to change it from a high-purity to an ultra high-purity water system.